Hey friends...I took this picture of my wife today. 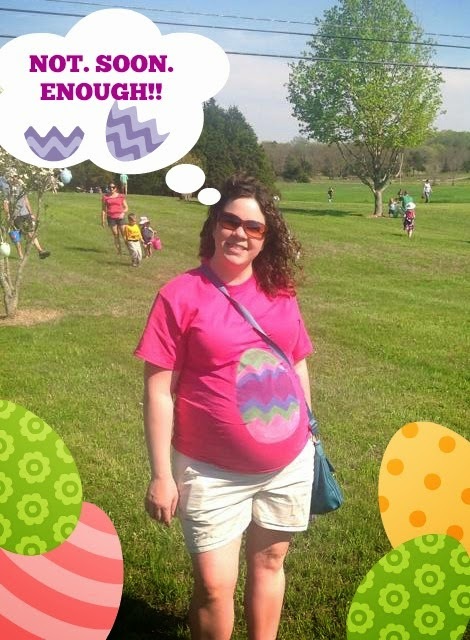 It really could be any time now that Caroline Joy hatches!! My wife is more than done!! ha ha She's not due till May 5th...but they believe she is about 9 lbs right now!!! Yep..we have big babies! Eli & Margaret are very excited to see their baby sister. The other day Eli(2 yrs old) was talking to my wife's belly..."Caroline, come out and play Legos with me!". Love it!!!! Stay tuned! PERSON WHO JUST WROTE ME AN E-MAIL!!!! SUMMER ART CAMP IN NASHVILLE!